Generally we see that the new PCs are faster than the older, it happens for many reasons, may be you have not maintained your PC well, so that it can provide you better performances. If we do not feed a cow well it will not give you enough milk, the same is applicable for the PCs. For better performances you have to take care of it. Though there are many ways to keep your PC perform faster, three of them always get priority over others, these are disk cleanup, disk defragmenter and the last one is check disk. Other then these three you can also use additional softwares like TuneUpUtilities, CCleaner etc. But we should always give preference to those comes as built in with OS. 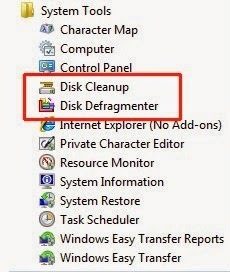 Disk Defragmenter is an inbuilt utility of Windows OS. It is a maintenance tool that reduces the amount of fragmentation. It physically organises the contents of the mass storage device used to store files into the smallest number of contiguous regions. It also creates larger regions of free space. 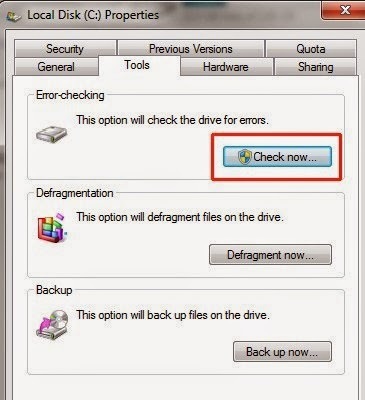 Check disk helps to fix errors on your hard disk drive sometimes your computer becomes slower and programs may hang, check disk fixes such kind of windows problems by removing hard drive errors. It can identify and automatically correct file system errors and makes sure that one can load and write data from the hard disk. If you are facing any problem then write to me in the comment box right below to this post.